Greenford, UK (December 8, 2016) In the wake of Brexit there seems to be an air of gloom hanging over British business – but not at Ultra Electronics. Based in Greenford, London, the Group continues to supply its products to some of the world’s biggest and most technologically advanced organisations. Gemini, the world’s first licensed Bitcoin and Ether exchange, chose Ultra’s Hardware Security Module (HSM) to protect its most valuable information despite competition from US and mainland Europe cyber security giants. The coup for Ultra outlines the significant amount of respect the organisation commands in the world of cyber security. 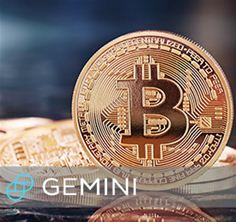 Gemini, founded and managed by Olympic rowers the Winklevoss brothers, allows clients to trade Bitcoins to USD, Ether to USD and Bitcoins to Ether. The company is the first of its kind to receive a license from a major regulatory body, receiving its accreditation from the New York State Department of Financial Services (NYSDFS) in 2015. Cryptocurrencies are fast becoming a more widely respected form of payment, so much so that the city of Zug, a well-known financial hub in Switzerland has started allowing residents to pay for public services with Bitcoins. For such a rapidly expanding business within a field where security is absolutely paramount, Gemini has ensured it recruits security professionals from some of the world’s most distinguished companies. For a company which has invested so much in security personnel it begs the question, what exactly was it that made them choose the Ultra Electronics’ HSM? The fact that Gemini chose Ultra Electronics is a positive sign. Brexit or not – truly innovative companies who can offer unique product solutions will always be desired by the rest of the world. Rob Stubbs, Product Director at Ultra’s Communication & Integrated Systems business, outlines why he believes Gemini selected the KeyperPlus and how the Ultra team will continue to ensure it wins orders from market-leading businesses such as Gemini in the future. “The success of Bitcoin is critically dependent on the security of exchanges such as Gemini. We have already seen the cyber-theft of Bitcoins from Mt. Gox, Bitfinex and others totalling over $500m. Gemini’s decision to use KeyperPlus was based on its own detailed security evaluation as well as the product’s international certification and market reputation so as to provide the upmost security for its clients. Ultra Electronics’ experience and expertise within the cyber-security sector is set to stand both the business and the security of its clients’ valuable information in good stead for the foreseeable future.